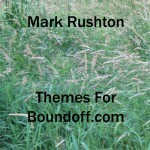 Mark Rushton creates the music for Bound Off. His blend of chill out, electronic, and ambient instrumentals have been released worldwide. If you are looking for ambient electronic instrumental music as background sounds in your YouTube videos or other projects, this is a good way to get started. If you’re a Bound Off listener and have liked some of the musical interludes in the past, you can download an album called Themes For Boundoff.com at Bandcamp.com for free. The album features full tracks of music previously used as snippets for the intros, transitions, and background music for the Boundoff.com short story podcast. This album comes in MP3, FLAC, AAC, and other audio formats. Click here to listen or download now. 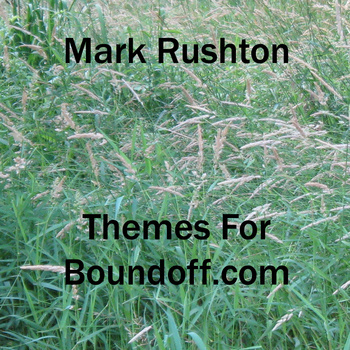 Beyond the Bound Off podcast, people have used Rushton’s music in numerous videos, for documentaries, relaxation, walking, or background sound during work or artistic pursuits.